What an epic treat! 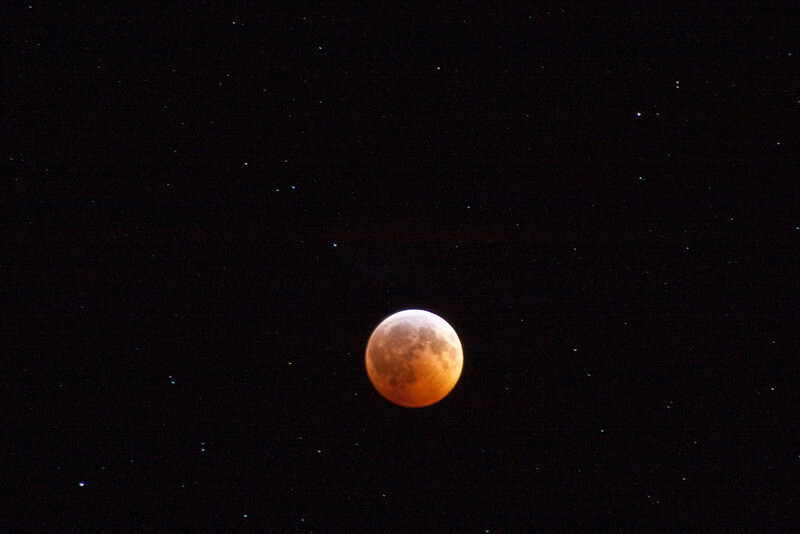 For those of you who may have missed the lunar eclipse last night, hopefully these images will let you relive it a bit. 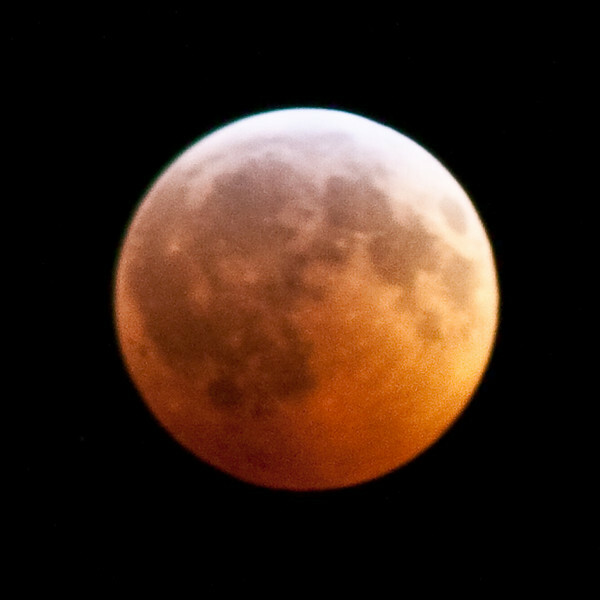 Unfortunately I only had my backup gear in the car with me, but I was able to grab a halfway decent shot of the eclipse when it was nearing its totality. The clouds were tough to work around and, other than brief moments here and there, were covering the moon most of the time.